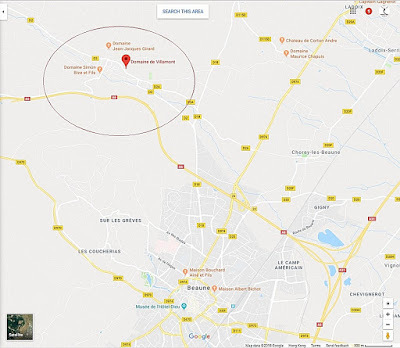 Nestled in the heart of Savigny-Lès-Beaune, a scenic village of the Côte de Beaune region (Côte-d'Or), a few kilometers north from the region's capital Beaune, Domaine de Vallemont (a.k.a. 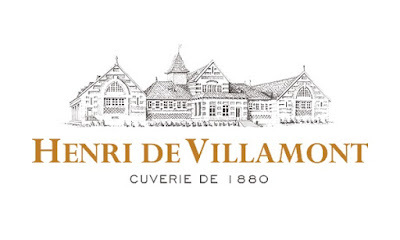 Henri de Villamont SAS) produces beautifully crafted red and white Burgundy wines from various appellations, aged in one of the most unique and most iconic cellars in the region. ...but more especially by its "Tour des Guettes" (In the Middle Ages, a "Guette" tower - a.k.a. watchtower - was one of the main towers of a castle, usually the one where the Sentinel was in charge of monitoring the countryside). 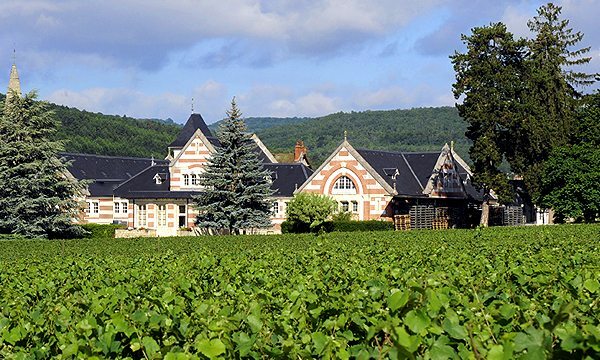 "Schenk Wine", a family owned Swiss Wine group with holdings and properties all over Europe, bought the estate back in 1964 and renamed it "Henri de Villamont" after a crusader knight who inhabited the village of Savigny-Lès-Beaune during his old days. Schenk wines apparently added to their portfolio the wines from Doctor Barolet back in 1969. 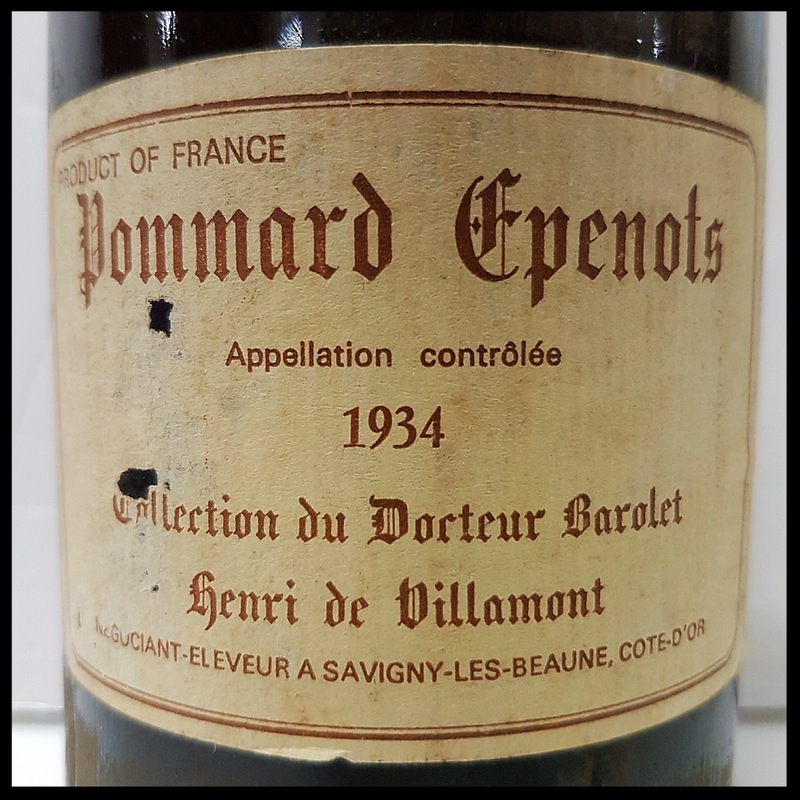 Doctor Barolet was a wine collector who bought Burgundies in cask and bottled them under his own label. 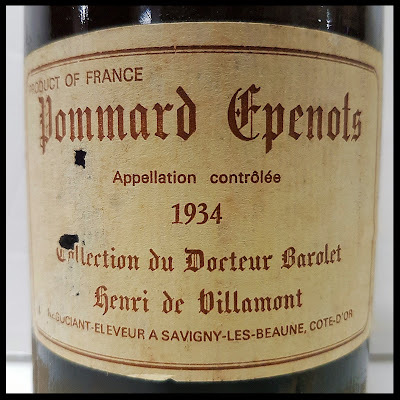 As the bottle below is a 1934 vintage, I'm assuming that it has been obviously labeled after 1969, as it states both names "Collection du Docteur Barolet" and "Henri de Villamont". Savigny-Lès-Beaune 1er Cru "Clos des Guettes"
Chassagne-Montrachet 1er Cru "Les Embrazées"
Saint-Aubin 1er Cru "Les Champlots"
Volnay 1er Cru "Le Ronceret"
Chambolle Musigny 1er Cru "Les Chatelots"
Chambolle Musigny 1er Cru "Les Feusselottes"
Chambolle Musigny 1er Cru "Les Groseilles"
Nuits-Saint-Georges 1er Cru "Aux Murgers"
Fixin 1er Cru "Le Clos du Chapitre"
Basically, they make so many wines, it will be difficult to list them all. So now that we have learned a bit more about the winery, let's go back to the bottle of wine that inspired this post. It is surely one of the rare few remaining bottles of its kind. To be honest, it was the first time I saw such an old bottle from Henri de Villamont. A real piece of history of a bottle (like I love them) and in front of which I always feel very humble and privileged. It was presented to me while I was doing an inspection of other wines recently purchased. It was not part of the lots I was inspecting. Yet, the director of the auction house where I was inspecting the wines asked me: "What do you think? Do you think the wine is still good? I will have it tonight with a friend, but I would like your opinion on it." It apparently belonged to a few owners previously then was stored in a warehouse in New York for a while before being moved to Hong Kong a few years ago. 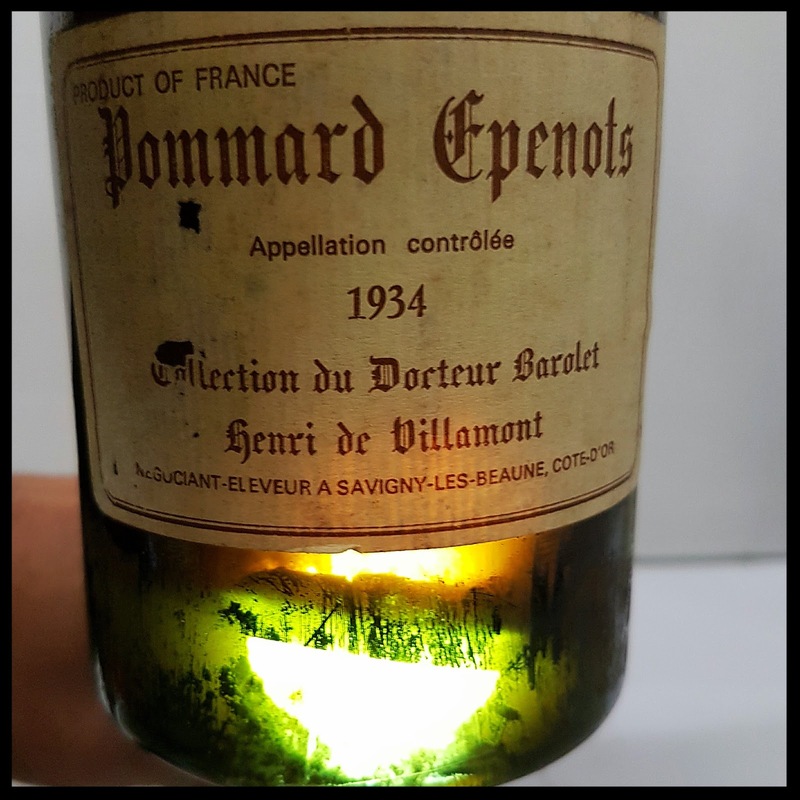 As a Wine Quality Control Director, I'm suspicious by nature when inspecting an old and rare bottle, due to so many counterfeits and fakes on the markets and Hong Kong's proximity with China. So, I took the bottle in my hand and closely looked at it. Checking the capsule, which was slightly corroded and showed a slightly depressed cork (meaning that the cork has slid a little into the neck), which sometimes could either be the result of the corking process and may have been released as such by the winery or a sign of bad cellar conditions due to temperature level variations (e.g. heat may cause the cork to slide down the neck). I'm thinking about the later in that specific case. 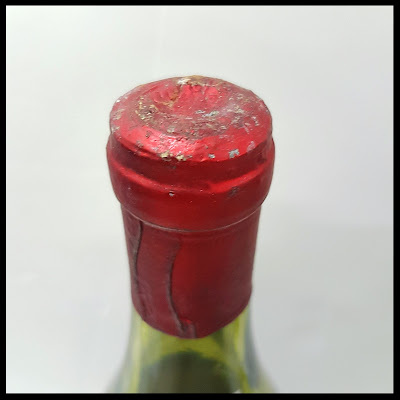 Moreover, and despite no sign on the capsule or the bottle, the low level obviously indicated that the slightly depressed cork may have caused some seepage to occur at some point in the bottle's history. 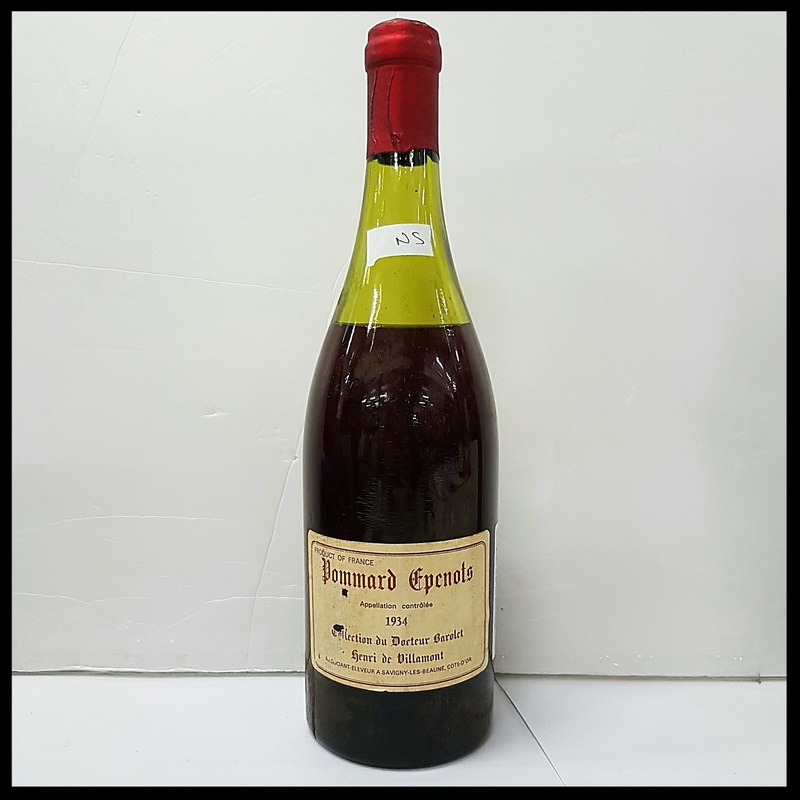 However, nothing surprising for such an old bottle, as this type of old and rare bottles sold in auctions have usually been the pride of several owners, and for some may have been around the world a few times via boats and/or planes. Temperature and humidity levels vary and oscillate a lot during transit and cellar conditions differ from one owner to the next. Furthermore, it is not rare that whoever bought the bottle from one auction house resells it via the same auction house or another auction house fairly shortly after. For example, a bottle sold by Acker Merrall & Condit might end up being sold at Christie's or Sotheby's or Zachy's a few years later (and vice versa). 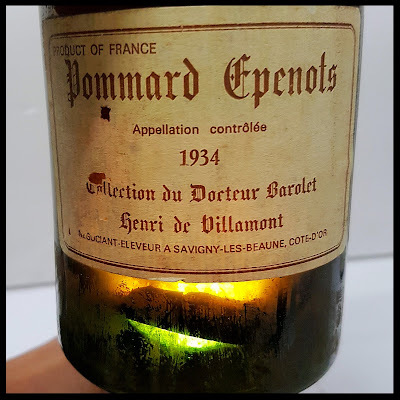 All of these movements and handlings from one cellar to the next, one warehouse to the next, one truck to a boat or a plane, (etc...), made under various weather conditions, are really hazardous to preserve the quality of the wine, more especially for such an old one like this one. 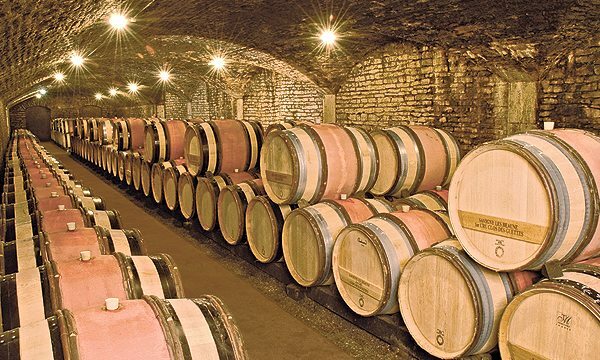 Efforts have been made over the last ten to fifteen years to increase the security and quality of the wine's environment and conditions in freight forwarder's warehouses and more especially during transit with more adequate materials and technologies to preserve the wines at constant and consistent temperature (and humidity) levels. Although wine warehouses and most freight forwarder's wine containers are now well equipped with integrated temperature (and even humidity) control technologies (reefer container + T/H data recorder, etc...), temperature variations and oscillations may still occur depending on many (sometimes unavoidable or uncontrollable) factors at departure, during transit and/or at destination. One example that comes to mind, once, one of our reefer containers full of expensive wines arrived at Guangzhou port customs (China), was put on the truck to depart from the customs zone but was stopped as some documents required more specific details as well as additional signatures in order for the container to be released from customs. The air was thick, polluted and hot that day. We thought (or were hoping should I say) that it will be a matter of 10-15 minutes maximum. Unfortunately, other trucks in front of ours were queueing too for similar reasons and thus blocking the exit gate, stuck under the sun. It took more than 45 minutes for the exit to clear and our truck to be able to leave the customs zone. During that time, the engine of the truck could not be left idling, and therefore the reefer container had no source of power and temperature started to rise inside as it was a particularly hot day. 10 minutes later the truck was at the unloading bay of our warehouse, was plugged immediately to cool it down during unloading and at door's opening, I checked the inside temperature with a Non-Contact IR Laser Temperature Infrared Digital Thermometer Sight Handheld Gun, which indicated a temperature inside of 19-21°C. We immediately unloaded the wines to receive and store them at ideal conditions in our temperature and humidity controlled warehouse. 45 minutes is not much to be unplugged from a reefer container which can sustain and maintain the temperature inside quite low for a while on cool and regular days, but that day, it was hot for some reasons, and it only took 45 minutes for the temperature inside to rise from the level set at departure of 13°C to 19-21°C. 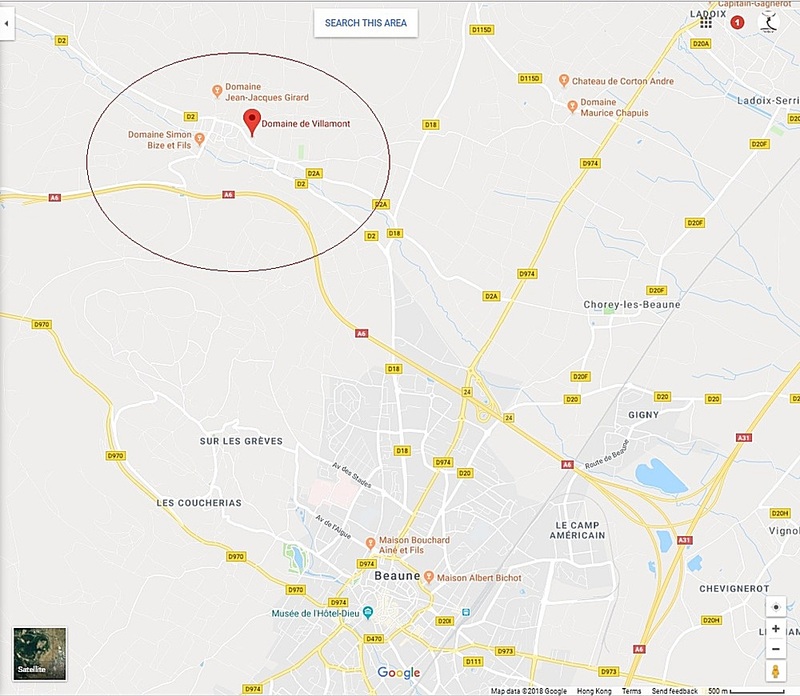 Imagine if the truck had been stuck for like 2 or 3 hours, the temperature will have risen even more and it will have definitely been harmful to the wines, which usually start to get damaged if left cooking under the sun with temperatures around 25°C and above for too long. I continued scrutinizing the bottle, checking the cork which seemed genuine and in ok conditions despite being soaking wet. Then I checked the color which was really light. The picture above doesn't do it justice, as it looks cloudy/hazy, while actually, the wine was really clear. Despite being really pale, the color looked ok (rather youthful somehow...) for the vintage and for a wine of such appellation. That said, the color is not so surprising as it is said that back in those days, some private collectors, merchants and negociants who bought wine in casks and bottled the wine themselves used to top up the bottles with wines from other grape varieties and other regions (like some Syrah or Grenache from the Rhone) or even add a touch of spirits or brandy, like Cognac, to make them stronger and fruitier (especially in lower quality and/or quantity vintages). 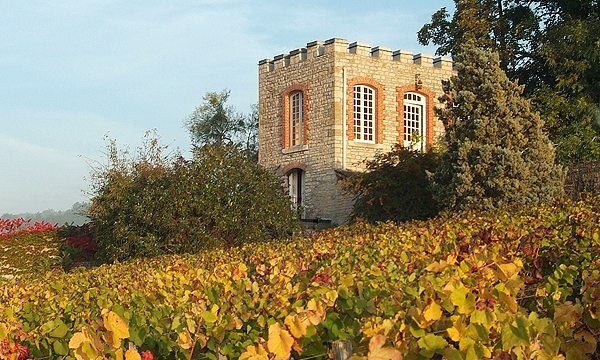 It is as true for Burgundy as it is for Bordeaux also where wines from the south of France, Spain and even Marocco were used to top up the bottles (in such vintages). 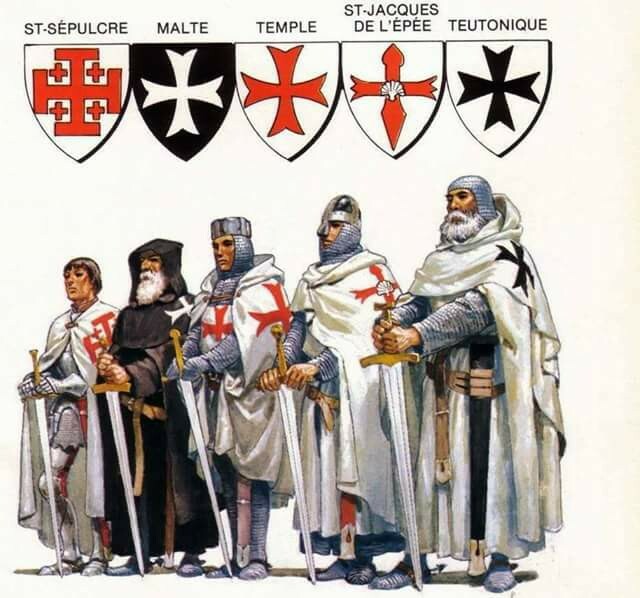 Of course, it is off the record, as you won't find any official writings stating these kinds of practices occurred. But it was well-known locally at the time that some used to do it (I bet some might still do it nowadays despite the strict regulations of the AOC). The punt was deep and the glass was thick and showed a certain inclination, which I found very interesting, as it demonstrated the imperfections usually found on hand blown bottles compared to manufactured bottles. 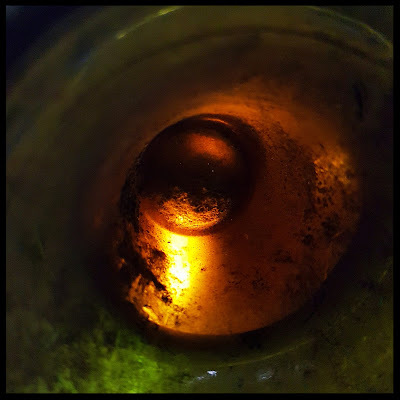 To the feel of my fingers on the glass, the harshness of the bottle was a testimony of the past, an ancient time when quality craftsmanship was still a skill learned by experiences and the wisdom of the elders. "As per its aspect, color, sediments and the genuine character of the bottle, it looks like that it is not a counterfeit or a fake wine. So, it should be ok. Now, due to the slightly depressed cork, the very pale color and the low level and thus the amount of air in the bottle, and despite the fact that the color is not showing any trace of it, it is probably the case that the wine might be oxidized and had "aged prematurely" (...I thought probably totally gone, but I kept it for myself...). I have never tried a Pommard that old, so I'm not so sure. 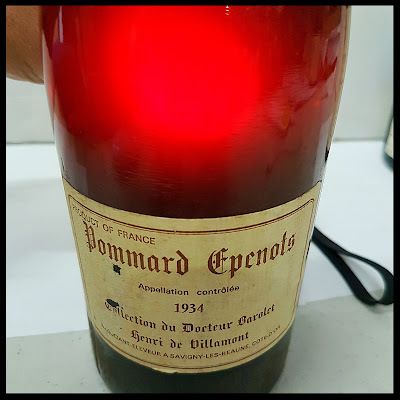 But despite the fact that wines with low pH like Pinot Noir have a greater potential to age, this wine surely passed its peak long ago and may not show well in my opinion. Now, I do not want to be too pessimistic about it, and there is maybe a chance the wine is still "potable". You'll tell me after you'll taste it tonight with your friend." It is only days later that I popped the question and it ended up that those who drank it had mixed opinions, some found it fantastic apparently, probably the nostalgia of it and the fact of being able to taste such an old vintage became a smoke-screen to their better judgement, as in fact, others found it rather dead. Who knows? I was not there to taste it so I cannot judge and wine tasting is so subjective... Yet, in my honest opinion, dead or alive, this is a wine that I would have loved to taste just for the interest it repsents and to assess its conditions with my own taste buds. Stay tuned for more posts with more wine stories and pictures. 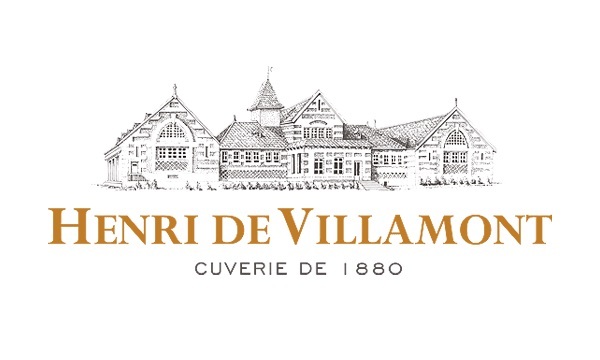 By writing this post, I realized that I have been posting a lot of pictures of wines on my Instagram (https://www.instagram.com/ledomduvin/) and Facebook Page (https://www.facebook.com/LeDomduVin/) but I did not post them on my Blog. So, from now on, I will also share all my pictures of wines on my blog to share them with all of you.